Have you wondered why engine oil has so many numbers and specifications? Multigrade, monograde, API, SAE, ACEA... What is the best synthetic oil for my car? As automotive technology advances and new engines are introduced the importance of using the top synthetic engine oil becomes more important. So, what is the best synthetic oil? 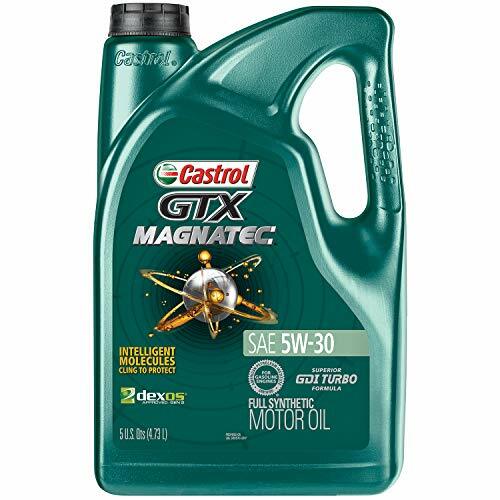 If you are planning on changing the oil in your car soon, then go check out our favourite synthetic oil, Castrol Magnatec GTX Synthetic Oil. It is, in our opinion, one of the best all round synthetic oils for petrol or diesel engines. 1. What Type Of Engine Oil Do I Need? 2. Difference Between Engine Oil Types - Fully Synthetic, Semi-Synthetic or Mineral Engine Oil? What engine oil should you use? What Engine Oil Should You Use During summer time? When it comes to the Best Synthetic Engine Oil in the market, Castrol GTX MAGNATEC 5W-30 is, in our opinion, the hands down winner. This product not only has all the bells and whistles you can expect from a fully synthetic engine oil but it usually can be found at an unbeatable price, sometimes half the price of it's competitors. What Engines Can Use It? This Castrol synthetic oil can be used on any modern gasoline engine, however, it’s especially suited for petrol, direct injection engines including but not limited to Gasoline Direct Injection (GDI), Fuel Injection System (FIS), Spark Ignited Direct Injection (SIDI), and Ford EcoBoost. Castrol’s intelligent clinging molecules formula adds an extra layer of protection to your engine even during cold starts. This translates into a dramatic decrease in engine wear and better fuel economy. The following are the official specifications and OEM approvals for this oil, please compare this information with your owner's manual recommendations before buying the product. Diesel engines are known for their endurance, heavy duty build quality, and durability. 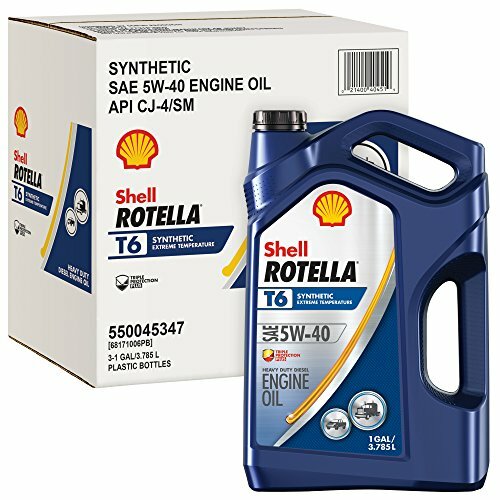 Shell ROTELLA T6 5W-40 stands for all those attributes and some more. If you are looking for the best synthetic oil for diesel engines then look no further, this one is definitely worth checking out. This is a synthetic oil you can use on literally any diesel engine, ranging from off-highway heavy-duty applications to cars and even motorcycles. It's improved resistance to breakdown by high temperatures makes it ideal for all applications. Shell’s exclusive triple protection formula adds a huge barrier against corrosion from acids, deposits, dirt, and other contaminants. Besides its superior wear protection, the Shell ROTELLA T6 formula is also emissions system friendly, offers an outstanding shear stability in any weather condition and benefit fuel economy. 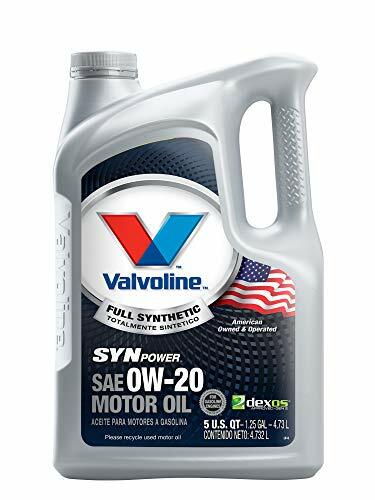 The Valvoline SYNPOWER 0W-20 is in our opinion one of the best all-around synthetic oils available for winter and cold climates. It not only satisfies the latest industry standards, but also its ultra-low viscosity guarantees an instant oil flow under the most extreme low-temperature conditions. Basically, any engine can use this Valvoline full synthetic oil. This superior synthetic engine oil is formulated for passenger cars with petrol, diesel, LGP or even Hybrid engines. Its has an astounding operating range of -45°C to 236°C, making it worthy of being called the best synthetic oil for cold climates. However, due to its low viscosity, this oil is definitely not suited for vehicles operating in hot climates, high mileage engines or severe driving conditions. Valvoline SYNPOWER 0W-20 is designed to provide extra protection under low-temperature conditions. It cointains special additives that prevent the formation of sludge, varnishes, and other harmful deposits. The “instant flow” during cold starts also helps the fuel economy and protects against engine wear. The general rule of thumb recommends that synthetic engine oil should be changed every 7,500 or 10,000 miles. Why not 15,000 miles? That’s precisely what Castrol EDGE Extended Performance 5W-30 brings to the table, extended oil change intervals. WARNING: if your vehicle is under warranty or is used under severe conditions such as racing, frequent towing, commercial use, excessive idling, or dusty conditions then only follow the oil change interval recommended by your car manufacturer. You can think of Castrol EDGE Extended Performance as Castrol GTX MAGNATEC on steroids. Ok so they are different oils with a different formula, but from a pragmatic point of view, both oils have quite similar applications. 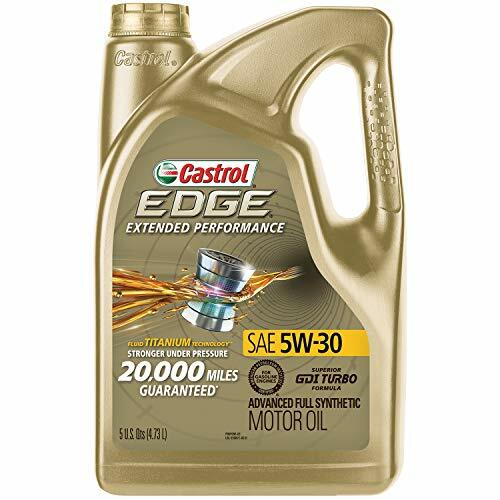 Almost any petrol engine can use Castrol EDGE synthetic oil, though the convenience of enjoying extended maintenance periods will depend on the use of the vehicle. The selling point of this oil from Castrol, is the longer service intervals. In order to make possible such a difficult task, Castrol uses a special additive called: Titanium FST. The gains on performance, power, fuel economy and protection are noticeable as you can expect from a premium product. If your driving routine consists of frequent stop-and-go traffic, short trips, heavy loads, off-road or dusty conditions then Pennzoil 5W30 is going to be a great option for your car. This premium synthetic engine oil is designed with severe driving conditions in mind as well as enhanced fuel economy. 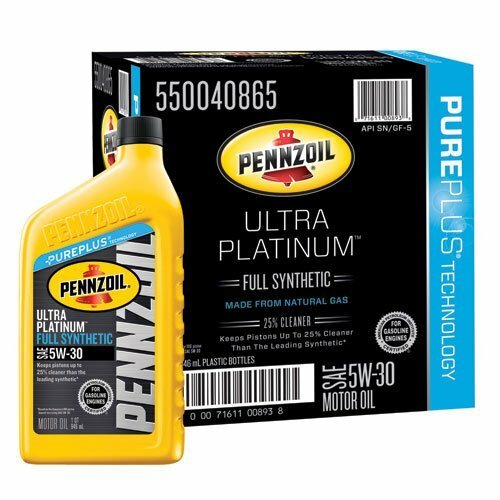 This Pennzoil platinum 5w30 oil comes with a huge number of OEM and industry approvals. If your car uses a petrol or even a diesel engine, chances are that Pennzoil Ultra Platinum 5W-30 has it covered. This particular synthetic oil focuses on better fuel economy, superior wear protection, and excellent oil flow during low and high temperatures. Although what really makes it special is its PurePlus technology that excels at protecting the engine during extreme conditions. In fact, Hennessey Performance vehicles, and SRT engines recommend using this oil for racing applications which gives you an idea about its quality, especially during harsh driving conditions. This roundup wouldn’t be complete without including a category for high-performance engines. In our opinion, this is one of the best synthetic engine oils when it comes to high power engines. The MOTUL X-cess 5W-40 is intended for high-performance petrol, LPG or diesel engines. It is recommended by manufacturers such as Porsche, BMW, Opel, and Mercedes Benz for many of their engines. This is not a synthetic oil for normal vehicles, although you can use it if you are willing to pay its premium price. Ultra high-performance engines demand very specific properties. The Porsche A40 standard for example requires extreme high shear resistance from the lubricant. The BMW Long Life-01 specification demands severe constraints to the oil you can use due to the BMW Valvetronic system. 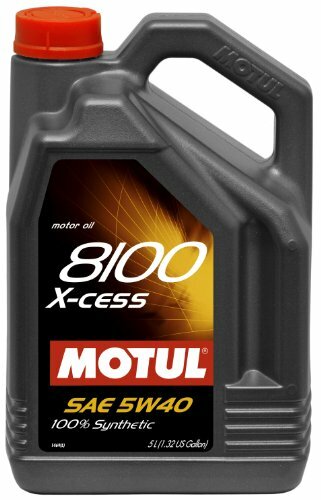 MOTUL X-cess 5W-40 is a better synthetic oil because it complies with the most extreme OEM requirements. Over time, engines inevitably suffer from internal wear. Traditionally, the way to compensate it was using higher viscosity oils. 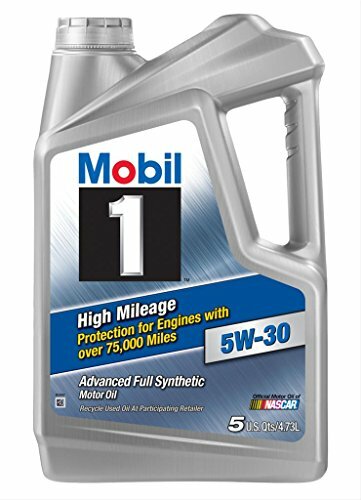 Nowadays products like the Mobil 1 High Mileage 5W-30 are specially designed to cover all the unique needs of high mileage engines. As you may guess, this oil from Mobil is geared toward engines with more than 75,000 miles, including engines that have in the past used lower quality oils. That said, Mobil 1 High Mileage synthetic oil is an excellent quality oil, with many manufacturer certifications making it a perfect choice for almost any petrol engine. Mobil uses a proprietary formula and special additives designed to provide the best protection against wear, excessive deposits and also extend the engine life. But benefits don’t end there, its formula also contains seal conditioners that can help to block existing and future leaks. Modern vehicles are designed with specific lubricants in mind. The engine oil is probably the most crucial lubricant in your engine, and should be checked and changed regularly. Overlooking the original equipment manufacturer (OEM) recommendations is not a good idea, and engine oil change intervals should always be followed. Marketing is not a good adviser when it comes to choosing the right oil specification . So our first tip is taking a picture of your vehicle engine oil specifications and ensure the oil you choose matches them exactly. Most of the differences between the oils we have reviewed here are in the additives that engine oil manufacturers include in the oil mix. It's important to note that no matter what brand of oil you choose, the weight and viscosity of the oil is the most important specification. Choosing the wrong spec oil can damage your engine. For now, don’t worry about the technical jargon and the numbers. The sections below will explain everything you need to know. Mineral oil is the most common and older type of engine oil. In its most basic form, mineral oil is created from refined crude oil, also known as mineral oil base. In the later stages of the process, certain additives are combined with the oil base to improve its properties, notably its viscosity. So, what is Synthetic Oil? On the other hand, a fully synthetic engine oil is created from artificially designed compounds rather than using a petroleum base. However, nowadays there is a debate about the term “fully synthetic” since some brands are creating synthetic oil from chemically altered mineral oil bases and still calling it fully synthetic. Controversy aside, let’s accept the synthetic oil designation as an artificially enhanced engine oil. There is currently another kind of engine oil called semi-synthetic or simply “blend”. As you may suspect this is not a 100% synthetic oil. Synthetic blend engine oil is about 80% mineral base oil with 20% added synthetic components. 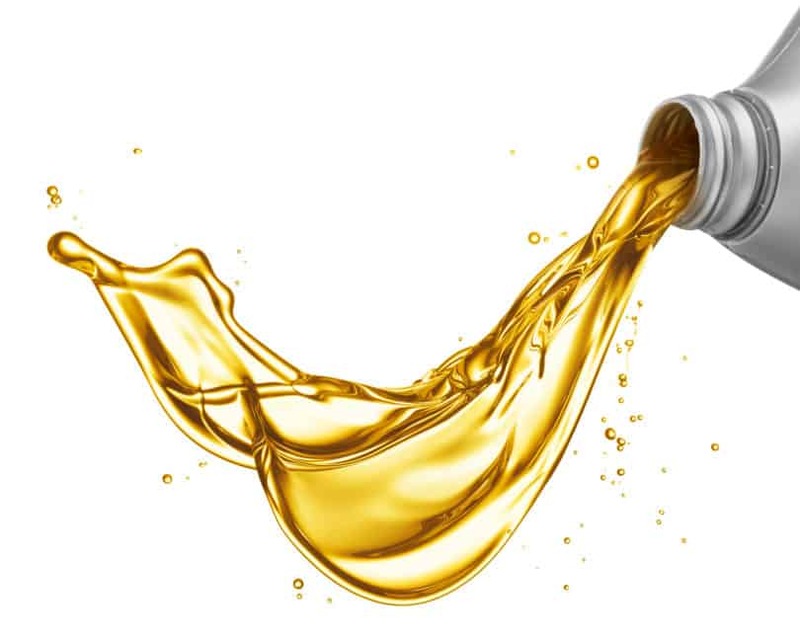 This type of oil aims to offer the benefits of synthetic oil at a lower price point. What about the synthetic blend? Depending on your engine specifications you may use a semi-synthetic engine oil and obtain most of the fully synthetic benefits. The most widely cited specification of engine oil is the Society of Automotive Engineers (SAE) viscosity grade. In simple terms, the SAE viscosity is composed of two numbers, the first one is an indication of oil viscosity at low temperatures (winter) and the second one at high temperatures. Now is easier to understand the SAE viscosity grade right? Need an example? Let’s say you live in a region with an average ambient temperature of 7°C (during Winter). Ideally, your synthetic engine oil should withstand that temperature. If you pay attention to the table above, a 0W20 would be almost at the limit (10°C). That’s exactly the kind of situation you need to avoid. A better option in that scenario is a 5W30 synthetic engine oil. Let’s assume an average ambient temperature during summer of 28°C. The 5W30 engine oil would be in a similar situation as the 0W20 during winter. A slightly degraded oil may not maintain its properties when is closer to its operational limit. The solution would be to use a 5W40 during summer. In fact, for this hypothetical example, a 5W40 would be the ideal engine oil for all seasons. Keep in mind that other considerations could be relevant as well. If your owner’s manual indicates a SAE 5W30 API SN Plus synthetic engine oil, you can then be sure that it can be used in temperatures exceeding 30°C, closer to the 35-38°C limit. As you can see, besides SAE viscosity grade, there are other important engine oil specifications that you should be aware of. The American Petroleum Institute (API) is in charge of certifying when an oil meets certain OEM quality and performance standards. Over time, the conditions to obtain the certification can change as the result of higher OEM quality requirements. The latest API Oil certification (SN PLUS) was approved on November 9, 2017. The API SN Plus certification exceeds all prior classifications, in other words, any engine oil showing the API SN Plus certification can be used on older vehicles. The contrary is not true. If your owner’s manual recommends an API SN Plus engine oil you should not use a lower tier oil like API SJ or SM. The Association des Constructeurs Europeens d'Automobiles (ACEA) is the European homolog of the American API service classification. The A/B class is used for passenger car motor oils accompanied by a number that represents the category. The higher the number the lower the oil viscosity and longer the service intervals. In some cases, you may find supplementary certifications in the product description as GM dexos1 for example. In addition to industry standards, vehicle manufactures created its own engine oil specifications. That’s another reason for reading the owner’s manual and verify the precise engine oil required for your engine. 1. Extended Service Engine Oils: using premium formulas manufacturers were able to extend even more the service intervals like the Castrol EDGE Extended Performance with its 15,000 miles tag. 2. High-Performance Engine Oils: like MOTUL X-cess, offering ultimate performance to high power cars. 3. High Mileage Engine Oils: special additives and sealants make it possible to engine oils like Mobil 1 High Mileage to provide unsurpassed quality to engines with more than 75,000 miles. 4. Diesel Engine Oils: specialized heavy duty oils like Shell ROTELLA T6 provides the necessary protection to hard-working diesel engines. 5. Multipurpose Engine Oils: the wider category including products like our winner the Castrol GTX MAGNATEC suited for almost any engine in the market. 6. Severe Conditions Engine Oils: frequent stop-start, heavy traffic and other severe driving conditions were the inspiration for creating engine oils like the Pennzoil Ultra Platinum that includes unique compounds to help the engine during harsh conditions. 7. Cold Climate Engine Oils: ultra-low viscosity oils like the Valvoline SYNPOWER are intended to be used in regions where extreme cold demands a highly specialized lubricant. Depending on your vehicle and type of driving, you can find a perfect fit for your needs. Remember, your choice should always comply with OEM recommendations. Both factors are important, your application and the appropriate viscosity/service level.